Weekending in Seville, the capital of Andalucía, has become hugely and understandably popular. 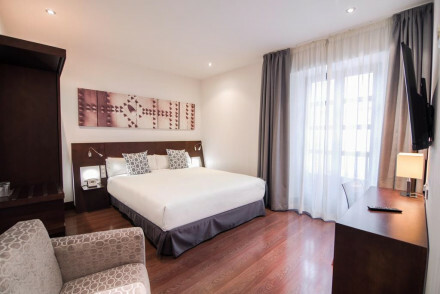 A lively city, many of the best places to stay in Seville are conveniently located in the heart of the action and our recommendations are ideally located for exploring this beautiful city. Go to enjoy flamboyant Moorish architecture, charming cobbled streets teeming with colour and rich in history and culture. Seville’s beautiful medieval Jewish quarter, Santa Cruz, starts from the eastern wall of the Alcazar, and spreads through a labyrinth of alleys and small plaza, colourful with ceramic tiles and geraniums: perfect if your idea of the best places to stay in Seville involves being in magical surrounds within walking distance of the main sights. We've picked the 7 Best Hotels in Santa Cruz for you. Next door is hip, beautiful and historic, Alfalfa, which is also known for its numerous, and lively, tapas bars, and we have our recommendations for the 5 Best Hotels in Alfalfa too. Then Centro Seville, of the pedestranised streets, boutiques and the cathedral. If that appeals to you check out our recommendations for the 4 Best Hotels in Centro Seville. The port area or The Arenal, around the old shipyards, or Atarazanas, where sailors once set sail for the New World, is now known for its tapas bars and flamenco, and we've recommendations for the Best Hotels in The Arenal if you need them. The Alameda and Macarena districts are perfect if you’re looking for cafes, tapas bars and places that ‘happen’ in the evenings, and we have picks for the 3 Best Hotels in Alameda. Boho and hipster-y, if you want to blend in with the locals try Triana, just across the river, and much loved by ex-pats. The colossal Gothic cathedral is an incredible and unmissable place to start. But it is just the first of many grand churches and palaces, with architecture ranging from medieval to baroque to more Moorish designs. The best way to get to know the city is to stroll around the different quarters. Don't miss El Arenal, the old Jewish quarter of Santa Cruz and La Macaren. Spring is especially popular with visitors who come to see the Semana Santa (Holy Week) processions and experience the week-long party that is the Feria de Abril, when hotels can be booked up months in advance. Some of the most charming and best places to stay in Seville are in converted town houses situated around a typical Andalucían courtyard. Casa 1800 is a luxurious hotel with 33 rooms arranged around an elegant central courtyard. The decor is perfect - think opulent chandeliers, exposed stone and four-poster beds. You are in the vibrant heart of town with a rooftop terrace and pool offering spectacular views. 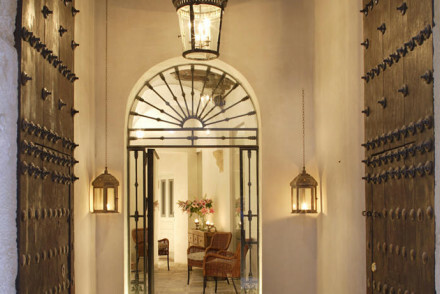 The boutique Casa No 7 is owned and run by the aristocratic Don Gonzalo del Rio. Exquisitely furnished with antiques, while still remaining light, airy and modern. A newish addition to Seville's hotel scene is the Corral del Rey hotel with bedrooms arranged around the courtyard and a lively bar and restaurant at its heart. 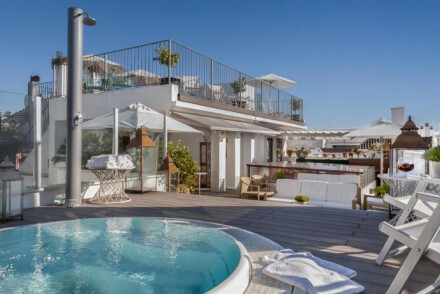 The super-stylish EME Catedral Hotel has luxurious rooms, a spa, a Michelin-starred restaurant and wonderful views of Seville Cathedral from the rooftop. 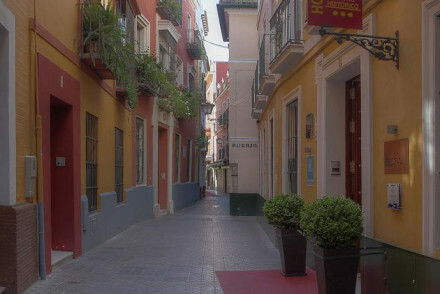 The Hotel Sacristía de Santa Ana is a surprisingly quiet place to stay in a lively central area. There are beamed ceilings in the bedrooms and a cloistered and galleried courtyard. 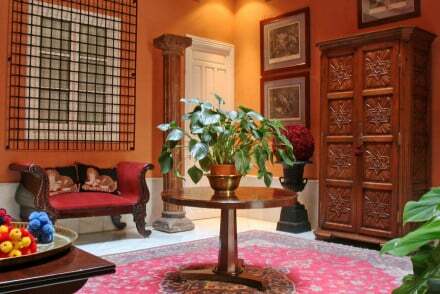 The Alcoba Del Rey is a fabulous, traditional townhouse with white-washed walls, checkered floors and antique furniture. They also have a lovely courtyard - just the one this time - and a fantastic roof terrace with a jacuzzi. The Casas del Rey de Baeza is another place with minimalist rooms and a rooftop plunge pool. Las Casas de la Juderia in the old Jewish quarter is a cluster of 27 interconnected town houses linked by mustard and green coloured courtyards. The Best Places to Stay in Seville with a Musical Theme? La Casa del Maestro was once the home of Spansih guitar maestro Niño Ricardo and is now run as an 11 bedroom hotel by his family. It is simply decorated with wrought iron bedsteads, colourful wall hangings and attractive tiled floors. Another hotel with a musical theme is the Hotel Amadeus & La Musica where a sonata or aria will greet you as you arrive. There are musical instruments all around the property and nods to music in many of the furnishings. The Palacio de Villapanés AlmaSevilla is a good mixture of Moorish and modern influences in the heart of Seville. The terraces are spectacular places to relax or take in the views. In a charming pedestrianised part of town, the Hotel Elvira Plaza has nine chic rooms with large windows opening out onto the cobbled tree-lined street. There are two restaurants - both serving regional cuisine. The Hotel Doña Maria is a traditionally decorated townhouse with a rooftop pool and views of the Cathedral. They have 62 rooms and suites - the larger suites are great for families. Alminar also has good Cathedral views in a hotel with a cheery pavement cafe outside and rooms which are beige and businesslike. The small, modern Hotel Holos with its stark white outside walls, aluminium canopies and frill-free bedrooms might be best suited to a regular visitor to Seville, jaded with courtyards and casas. The Hotel Doña Maria is a traditionally decorated townhouse with a rooftop pool and views of the Cathedral. They have 62 rooms and suites - their larger suites are great for families. 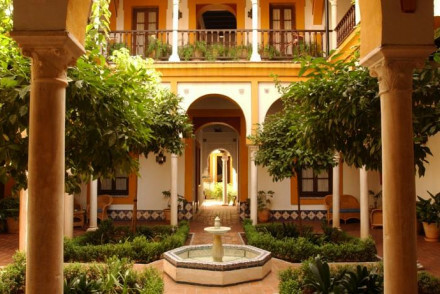 The Hotel Casa Imperial has several courtyards - some with their own rooms attached, and is housed in a 16th Century Moorish mansion. There are 26 rooms starting from around £70 per night. Romantic and intimate the restaurant and outside dining area are also charming. The Alcoba Del Rey is about the same room rate per night, but offer white-washed walls, checkered floors and antique furniture. They also have a lovely courtyard - just the one this time - and a fantastic roof terrace with a jacuzzi. Prefer a self catering Apartment? If you’d prefer to stay in an apartment or private villa we recommend you visit our online partner, Booking.com who have a wide range of well located apartments. Seville (San Pablo) Airport is about ten kilometres outside town and is connected to Spanish, plus major European airports. To get into town from the airport you’ll need to hire a car, catch a cab, which will be around €25, or catch the EA airport bus which leaves ever 15-30mins. You can also arrive in Seville by train, Seville’s station, Santa Justa, is Spain’s third busiest. If you want to hire a car - which we highly recommend if you’re staying in Seville and you want to see more of Andalucía - we recommend you visit our online partner, Rentalcars. But if you’re staying in the centre of town you’ll best find a hotel with a garage, or arrange parking beforehand. Seville has a lovely subtropical Mediterranean climate with hot summers and mild winters. Unless you really like the heat it’s probably best not to visit Seville during the peak of the summer season, but it’s beautiful in spring, autumn and around Christmas - they have a penchant for nativity scenes which is quite charming. 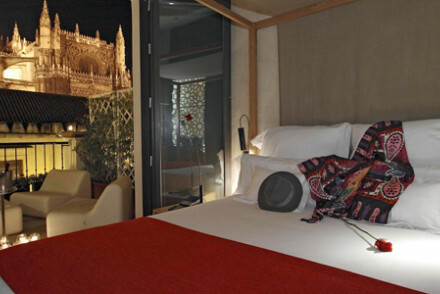 Still not sure which is the best place to stay in Seville for you? You might want to refine your search to just the 4 Best Hotels in Centro Seville? or one of the 7 Best Hotels in Santa Cruz? or the 5 Best Hotels in Alfalfa? Or you could expand your search to include all the best places to stay in Andalucía? Small boutique hotel in city centre. Beautiful collection of antiques. Central courtyard, full of character, with roof terrace, sitting room, bar. Elegant rooms, intimate atmosphere. Great walks - Just over a km fro the Reales Alcázares de Sevilla, the grounds of the royal palace boast lovely gardens. 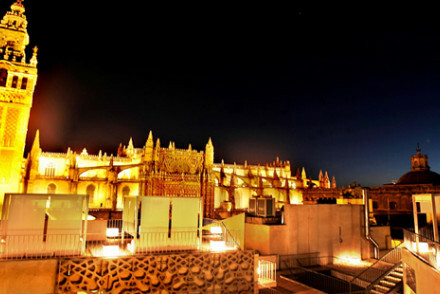 Sights nearby - Just a few minutes walk from Seville's main attractions- Casa Pilatos, Torre del Oro and Plaza de España. Local markets - Check out the well-priced boutiques around Calle Sierpes, for shoes, antiques, wine and fans. Sixteenth century Moorish mansion. Arranged around several courtyards, with individually decorated bedrooms, some with courtyard or terrace. Restaurant and outside dining area. Private feel, ideal for a romantic break. A fabulous townhouse in traditional Seville style. White washed walls, chequered floors, antique furniture, stand alone bath tubs, splashes of reds and greens. Lovely courtyard and fantastic roof top terrace and jacuzzi. Seville in traditional elegance. Sights nearby - Cathedral, Sea Museum, Torre del Oro. A smart hotel, set in a small palace dating back to the 19th century, in the heart of the city. Simply styled rooms feature polished wooden floors, crisp white linen and large floor to ceiling windows. Located just steps from the cathedral this is the ideal spot to explore the historic city from. Local exploring - Perfectly positioned in the heart of Seville with many of its attractions within walking distance. Sights nearby - Visit the magnificent Seville Cathedral. 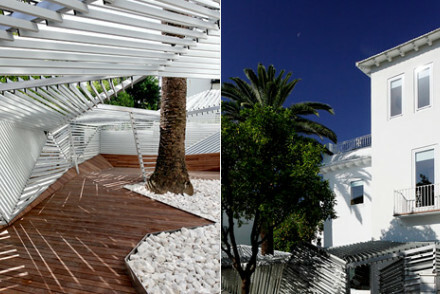 This small hotel combines modernity and avant-garde in an architectural and decorative restoration. This hotel is especially for people who look for something different. White washed cubic forms and aluminium canopies. A modern treat. 19th Century family-run boutique, in the traditional district of Santa Catalina. Former home to one of Spain’s great flamenco guitar players. Andalusian style and charm make up the B&B, where bedrooms are vibrant with colour, have their own patio and the roof terrace boasts stunning views. 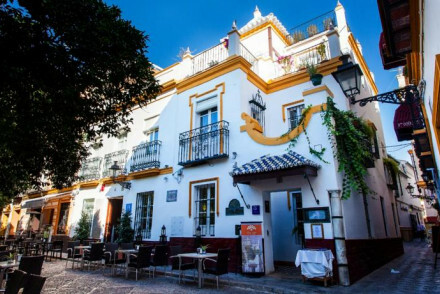 Local exploring - This warm family run hotel is an ideal launch pad for exploring Seville like a local with insider tips and helpful guidance. Value chic - Central location, stylish rooms, spectacular chilled out roof terrace and authentic Seville vibes- at a reasonable price. Great walks - Explore the old Jewish quarter, Barrio de Santa Cruz, a treasure trove of winding narrow lanes and hidden jems. Sights nearby - The stunning La Casa de Pilatos palace is literally just around the corner, must see. Well-located town house with rooftop pool and scenic views of the Cathedral. Traditionally decorated. Elegant sitting room with exotic internal garden. Large suites, good for families. Sights nearby - A five minute walk from Alcázar of Seville, a stunning architectural masterpiece originally developed by Moorish Muslim kings. Great walks - Maria Luisa Park running along the Guadalquivir River, is a charming green stretch for walking. Swimming Pool - Rooftop pool with bar & views. 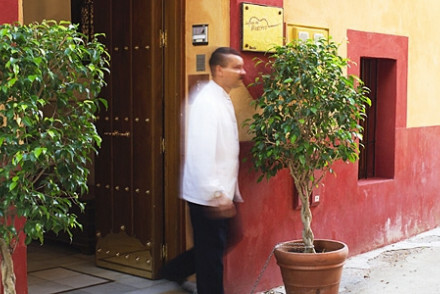 A charming boutique hotel well-positioned in a pedestrianised area of Seville. Oh-so chic rooms with white-washed walls, crisp linens and rustic wooden headboards. Large windows open onto the tree lined street below. Regional cuisine served in the two restaurants. Comes highly recommended. Local exploring - Well located on a central plaza and within walking distance of many attractions, bars and restaurants. 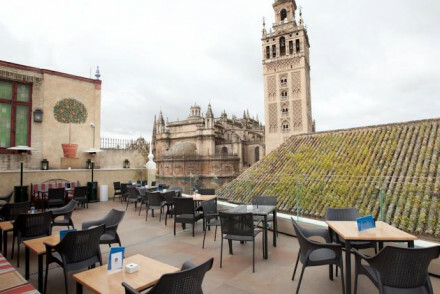 Sights nearby - Walking distance from the world's third largest cathedral in Giralda district. Sailing - For great city views take a cruise up the river. Great walks - Wander through the quaint cobbled streets. 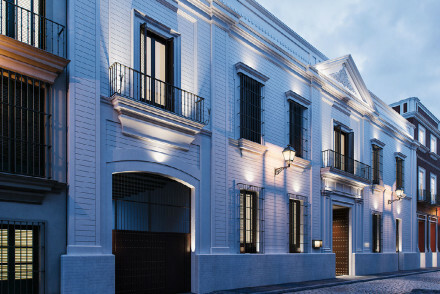 A beautifully renovated house in the heart of historic Seville. 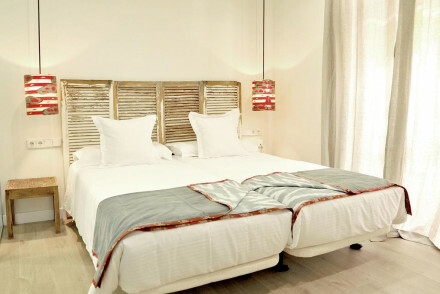 Each room is individually styled with white washed walls set against vibrant patterns and simple minimalist furniture. With gastronomy at the heart of the hotel the two restaurants are innovative and exciting. Local exploring - Located in the heart of the city, an ideal base for exploring. 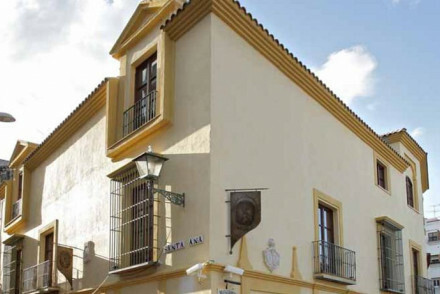 Great walks - Stroll through the historic and pedestrianised Santa Cruz area, Seville's old Jewish quarter. Sights nearby - Visit the majestic Gothic cathedral (the third largest church in the world). Award-winning, great value hotel in an excellent location across from the cathedral, on a quiet pedestrian street. Large minimalist well appointed bedrooms, some with balconies. An excellent base to explore the city. Local exploring - A contemporary, reasonably priced, hotel in central Seville. Great walks - Explore the streets of the nearby Jewish quarter or the Murillo Gardens. Sights nearby - Just 50 metres from the Cathedral and La Giralda. An 18th Century Sacristy now a stylish boutique in the heart of Seville's historical quarter. Effortlessly elegant rooms, featuring painted wood head boards and chic shutters, face out to a cloistered courtyard. 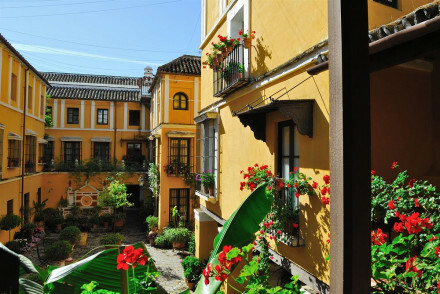 The perfect quiet hideaway location in the lively central area of Old Town, Seville. City Style - This meticulously restored convent oozes elegance; from the parquet floors, to the frescoed ceilings and the wooden shutters. Local exploring - Explore like a local, immerse yourself in the young trendy scene surrounding this area and fall in love with Seville. Sights nearby - La Giralda, one of the world's largest cathedrals and Torre de Oro, the golden tower are both under twenty minutes walk. Small family-owned hotel in the heart of Seville with a flare for music. Full of character, with panoramic views from the roof terrace. Lovingly decorated with white washed walls, wooden shutters and moorish furnishings. Regular evening music recitals. An elegant yet homely stay. Value chic - A trendy property in the heart of Seville’s ancient Barrio Santa Cruz, with incredibly reasonable rates. Sights nearby - Located within walking distance of the Moorish Jardines de Murillo. A romantic rabbit warren style Andalusian hotel in the old Jewish quarter. Made up of 27 interconnected historic townhouses, this unique hotel oozes character and charm. The rooms maintain their original quaint nuances, with antique furnishings, wooden beams and large French windows. A rare gem. Great walks - Take a stroll in Seville’s primary public park, the Parque de María Luisa stretches along the Guadalquivir River. This is a truly elegant hotel in the heart of Seville. 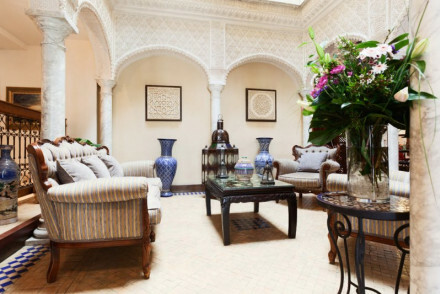 It combines modern dynamism with historical Moorish undercurrents. The terraces are spectacular places in which to relax or take in the views. A lively destination at the centre of everything. Sit-out Terrace - Beautiful elegant terraces. This sumptuous hotel is one of the most stylish in Seville. Take in the fabulous views from the roof top, revitalise in the spa, feast in the Michelin-starred restaurant, or recline in the luxurious rooms. A lively destination, but one in which you can also relax. Views - Outstanding views of the cathedral from the roof top terrace and from the rooms. 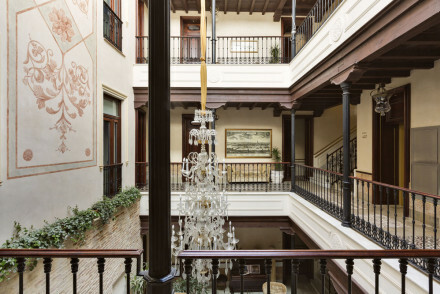 Beautiful converted 17th-century mansion in Alfalfa District Old Town Seville. The chic, individual rooms are arranged around a pretty central courtyard. Old world charm meets modern comfort. Romantic and stylish. Great walks - Take part in the Jewish Heritage Tour with Moises Hassan. Swimming Pool - Rooftop plunge pool. 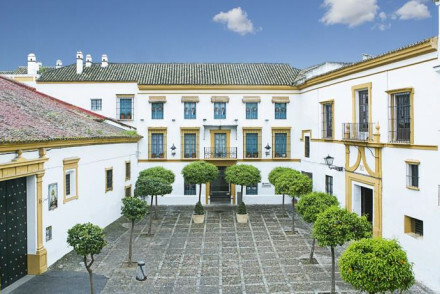 Sophisticated, chic boutique hotel in 18th Century building centralised around beautiful Andalusian courtyards. Elegant, minimalist rooms with access to a rooftop plunge pool and small spa. Enjoy the local, but modern, Andalusian cuisine at the restaurant. Only Ten minutes walk to the centre. Foodies - They offer an Iberian Ham Tasting as well as an extensive range of mouthwatering Tapas, either poolside or in the courtyard. Romantic Break - Elegant suites overlooking the charming terrocaota filled courtyards, and romantic meals for two under the stars. Sights nearby - The nearby Alcazar palace is well worth checking out as a sublime example of Moorish architecture. Mercer Sevilla enjoys a wonderfully central location - just a short distance from the city's sights. Architecturally stunning with elegant interiors and open, well-lit common spaces, this spot offers guests chic boutique accommodation. Be sure to relax by the stunning rooftop pool! Simply superb. Located in a lively district of Seville, a good choice if you want to explore the culturally vibrant city. Rooms around the inner courtyard are elegant with exposed stone walls, four poster beds and opulent chandeliers. This luxury hotel also offers a rooftop terrace with a swimming pool and views.